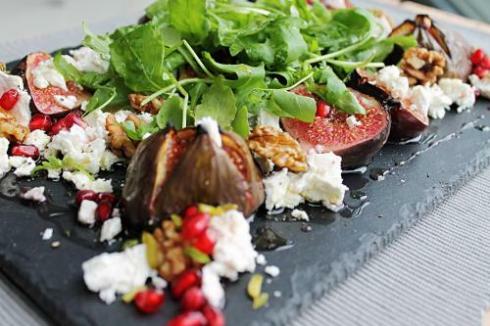 Combine the washed rocket, figs and goat’s cheese on a platter. Add the tomatoes (if using). Pour over the olive oil and sprinkle with mint. Add a good squeeze of lemon.